In order to create a live reproduction of the grandiose recordings of his upcoming record, Saint Bartlett, Damien Jurado enlisted eight musicians from Seattle band Kay Kay and his Weathered Underground to join him on tour as The Saint Bartlett Band. The resulting concerts will be unlike anything Damien Jurado fans have seen before - the songs done justice with an orchestra adding violin, cello, tuba, french horn and keys. Saint Bartlett is being released by Secretly Canadian on May 25th. One trend of Internet promotion is the growing utilization of album trailers. 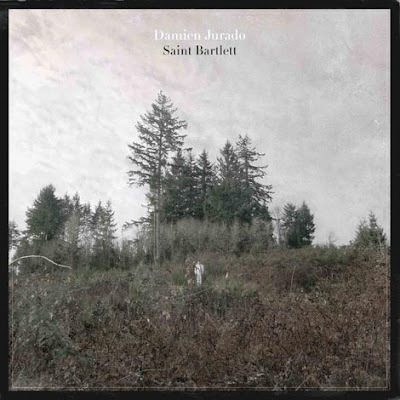 Musician and Saint Bartlett producer, Richard Swift, came up with a couple for Jurado’s new album. Saint Bartlett from Secretly Jag on Vimeo. Saint Bartlett Trailer #2 from Secretly Jag on Vimeo.